This article contains affiliate links at no cost to you. It just helps pay the bills so we can bring you super sweet content. If you’re like me, then you’re probably always looking for that next geek mood. I’ve been on a mission to find geeky things to do in Atlanta since I moved here from Florida a little over a year ago. I’ve found some pretty cool things around town, as well as fun ways to spend a date night (or day). But, most recently, I found my second most favorite way to geek out in this city, and that’s at the Center for Puppetry Arts. It’s the permanent puppet home of the Dark Crystal, The Labyrinth, Fraggle Rock, and other Jim Henson accolades like the Muppets and Sesame Street. Freaking out yet? Just wait until you see the puppets from the Corpse Bride and Coraline. I know, freaking cool AF right? 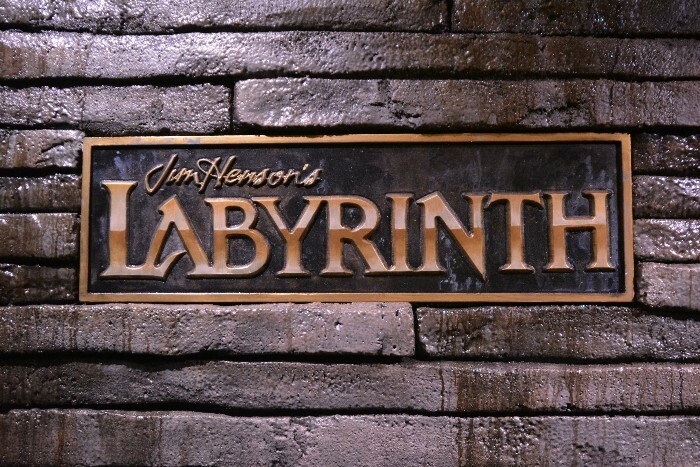 I had no idea about the Center for Puppetry Arts until a recent tour I had taken with Atlanta Movie Tours when the guide mentioned that the Labyrinth had an extended exhibit (in addition to their permanent one) on display over the summer. He then mentioned how they also had the Dark Crystal (which is basically where I almost jumped off the coach and ran inside). Seeing this place was a must. So, I scheduled a visit. But I had no idea just how amazing it would be until I saw it for myself. Walking through the Jim Henson Exhibit hall was like being warped back into the 80’s. The childhood feels came on super strong, and before I knew it, I had spent three hours just on that side of the museum. You know that moment when you’re geeking out so hard that you know everyone is watching. Get ready for that. You really have to visit this in person to get the full effect, but I’m happy to share my photos with you here. If you don’t immediately start hearing “Sunny days, sweeping the clouds away” when you walk into the Sesame Street area, then you need to do the 80’s over. Or at least your childhood. I loved the Muppets when I was a kid! And even as an adult! Seriously, what has happened to TV? Seeing Miss Piggy up close and personal was so freaking cool! I think I stood there for about 10 minutes just burning her image into my memory. And Kermit! What! Okay, this one is super special for me for three reasons. One, I loved this movie as a kid. It was part of a very niche Sci-fi/Fantasy film trend in the 80’s that basically made me the uber geek I am today. These films consisted of The Dark Crystal, The Labyrinth, The Neverending Story, Howard the Duck, Weird Science, Conan the Barbarian, Back to the Future, the Incredible Hulk, Heman and the Masters of the Universe, Sherah, Transformers, Clash of the Titans and The Legend. I kid you not, if those films didn’t happen, and I never snuck out to watch USA Up All Night with Rhonda Shear, God only knows who I would be today. And let’s not forget the Karate Kid and Indiana Jones for good (really good) measure. The second reason is that I am super proud to say that Brian Froud (designer, sculptor and puppet creator) writes next to me in FAE Magazine – Faeries and Enchantment. This is my fourth year writing the travel column there and I geek out over this fun fact every single time I submit an editorial. And Third, well it’s now officially a favorite of all the geeky things to do in Atlanta. I’ll be returning to the Center for Puppetry Arts for their upcoming films and shows (see below for my favorites). Seeing the puppets up close was like being a kid again, only cooler and with way better definition. I can’t even put into words how special it was to see the displays. All the feels people, all of them! And just in time for the Netflix reboot of The Dark Crystal in episodic format. Same story here folks. All the 80’s feels. The Labyrinth was such a special film for my time. It was a perfect kid introduction to David Bowie and quasi-scary movies. Keep in mind I was all of six years old when this film came out. If you can get your kids to watch it I highly recommend it for an entry level Fantasy/Sci-fi thriller. The extended exhibit was crazy awesome and featured props and costumes from the film. It’s there through October 1st, so get there ASAP! If you missed watching Fraggle Rock as a kid, you were robbed of a childhood. Go give your parents Hell. This was a whimsical puppet show that involved an underground community of puppet characters. They lived in magical caves who’s only predators were the giant Gorgs and they were cute AF. Seeing these puppets up close was another treat. It was like my childhood was there before me with nothing but plexiglass separating us. Plexiglass and feelings. If you’ve seen these stop motion films then you know that getting to see these prize sculptures is a treat. I basically had a photo session with both. Total geekery. What do we have to do to get Tim Burton’s work in here? Someone call someone!!!! For complete information and the most up to date schedule please visit www.puppet.org. THIS is why I love living in Atlanta! I love, love, LOVE this place! I grew up on the Muppets, and the Jim Henson movies. I can stay there all day long. Center for Puppetry Arts is one of our fav places to visit. My son finds what loves from Sesame Street. My husband loves some of the historical puppets. The Dark Crystal exhibit takes me back to watching the film in the theater as a child. You had me at Labyrinth! I want to go there right now. So neat! The Center for Puppetry Arts is first on my list the next time we’re in Atlanta. That is the COOLEST! I remember being fascinated with Henson’s creative characters in those movies. The Center for Puppetry Arts sounds so cool. This is so cool! I see so many of my favorite characters from when I was a kid. I’m trying to get my kids into Fraggle Rock now! Wow! There are so many things that you can see here and some would really take you back. I think it’s really awesome that you got to tour the place and share it with us! This is such an awesome place to visit! Especially if you’re a fan of the shows and movies that are featured here! It’s going to be so much fun to see all of them in one place and learning more about the background too. This is so awesome! I will have to check this out the next time I am in Atlanta. I had no idea that there was a Center for Puppetry Arts! This sounds so awesome. I have always been a big fan of puppet and all of the muppets movies. That looks like a really cool place to visit! It looks like there is so much to do in Atlanta! This looks so fun! It would be a fun trip for the Halloween!